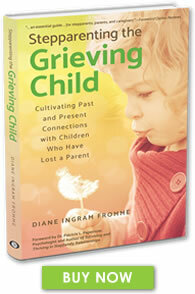 What happens when you mix the dynamics of stepparenting with the experience of grieving? You ignite an emotional powder keg in your home − one which no stepfamily member even knew existed. To avoid landmines and to heal the family, stepparents need help navigating this complex and unfamiliar territory. 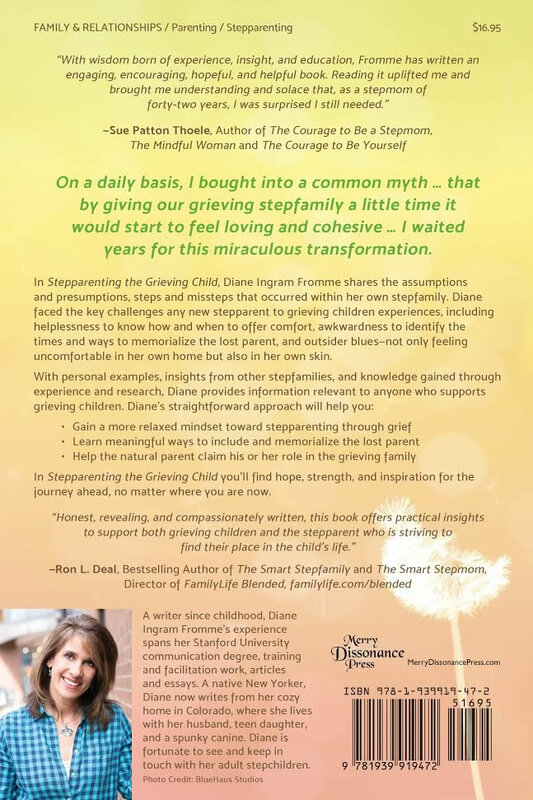 Stepparenting the Grieving Child advises and encourages stepparents living with a child whose parent has died. Readers will gain insight and ideas from the author’s own experience, stepparent anecdotes, and expert recommendations. How do I get ready for stepparenting in a grieving family? How do I invent my identity within the new family? 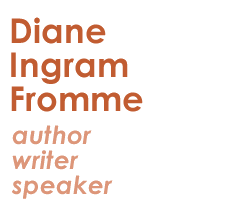 What is the “lifework” of grief and how do we manage it? How do I find compassion when family grief resurfaces? What does it take to develop straightforward communication? How can we find a workable family rhythm? 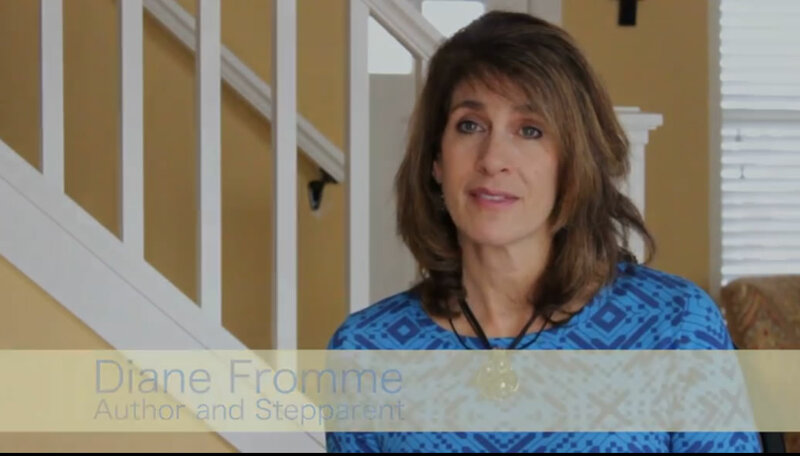 How can we enjoy stepfamily life? How do we handle life milestones and additional losses? Fromme presents a realistic, researched, and resourceful approach…. 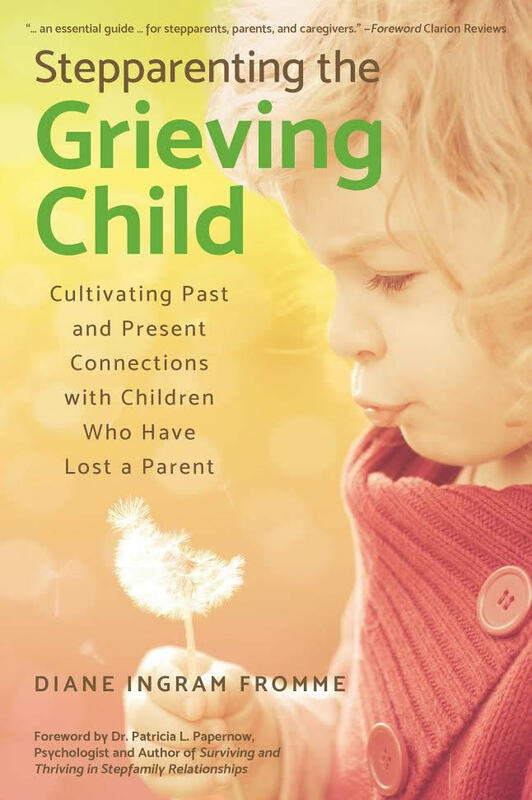 Stepparenting the Grieving Child is a good read no matter how a stepfamily is formed.